Mes amis, gather ’round for the whimsical tale of how a blue-skinned trio, best known for smashing stuff, ran off to join the French-Canadian circus. 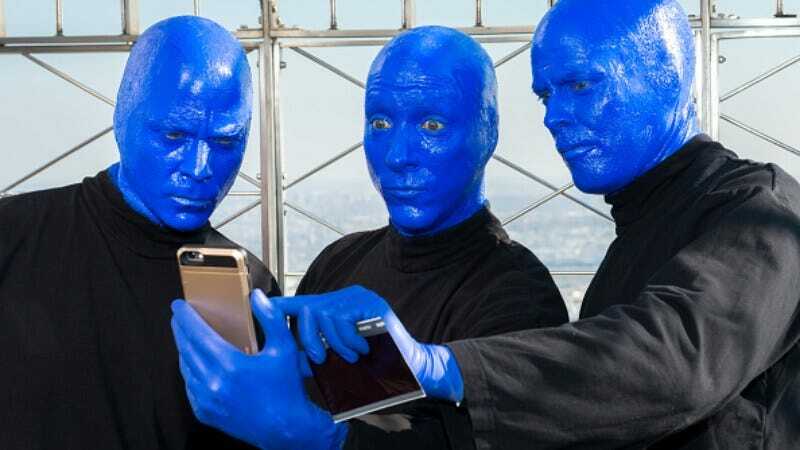 According to Deadline, the Blue Man Group show has merged with Cirque du Soleil, resulting in an explosion of color, silk, and stock options. Though Cirque is no stranger to the United States, its acquisition of BMG Productions has significantly widened its audience pool—right into New York, Las Vegas, Chicago, Boston, and Orlando. There’s no word on how much money changed hands, but BMG Productions went for more than a song (which was presumably Cirque’s first offer, along with a giant bubble wand and a child’s sense of wonder).